Chris Kermiet, Dance Caller & M.C. Storysmith® Susan Marie Frontczak brings literature to life, creates stories from thin air, and hones personal experience into tales worth telling again and again. Her stories and living history presentations have taken her to schools, libraries, corporations, and theaters across 42 of the United States as well as Europe. Susan's original stories have been heard on Colorado Public Radio (Morning Edition), at the Colorado Music Festival Young People's Concert, through Story Gleaner productions, and on her CD "The Three Fishes & Other Stories." Susan Marie’s motto is: "Give me a place to stand, and I will take you somewhere else." More at www.storysmith.org. 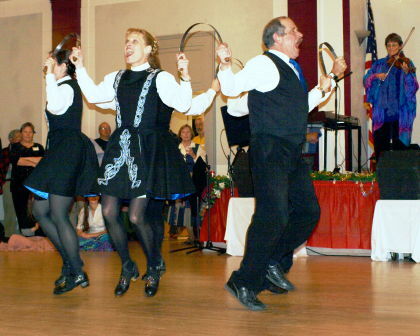 The Solstice Sword Dancers are five members of the Bennett School of Irish Dance: Bill and Molly Bennett, Bill MacAllister, Ken Horwedge, and Beckee Laurie. As exciting as Irish dancing can be, the intricate interlacings of rapper swords adds a whole new dimension to their dancing experience. Their practices have become one of the premier spectator events at the Friendship Irish Dance Center, since nobody can believe that anyone could extricate themselves from the complex tangles of steel that are the heart of rapper sword figures. They always do, however, like so many armed Houdinis, ready to go into the next impossible tangle and amaze everyone by emerging unscathed. See them on YouTube. For at least five hundred years, teams of English men and women have dressed in ribbons and bells, waved handkerchiefs and clashed sticks together, and, to the music of pipe and tabor, fiddle, concertina, or accordion, danced the Morris. The Morris is a performance, not a social dance. It appears to be very ancient, but historical evidence before the Middle Ages is scarce. 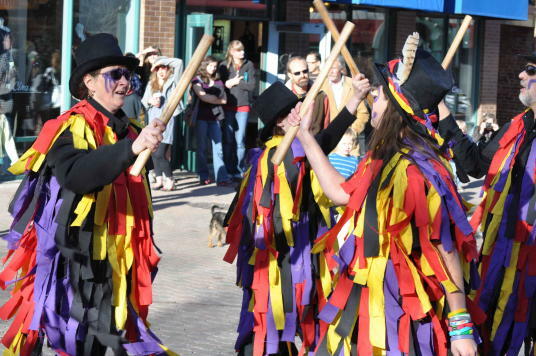 The Morris is traditional, dynamic, mysterious, and a little absurd. People dance the Morris because they love it. Border Morris dancing is a style of Morris dancing originat­ing in the area of the English border with Wales. The dances are boisterous and energetic; primarily stick dances, emphasizing a thrilling performance rather than subtlety or refinement. The dancers often dance in blackface, and the dancers’ "kit" is often decorated with many ribbons or strips of material, known as rags. Besides the traditional dances, collected early in the twentieth century, Border teams dance many new dances, invented in the Border counties and in the U.S.A. 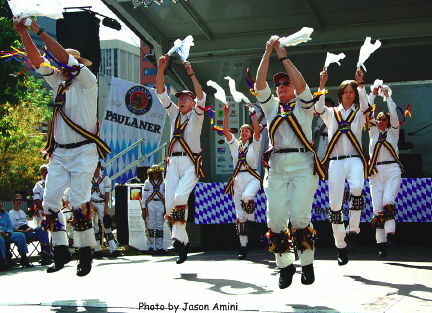 Featured on the Tonight Show with Jay Leno, Breathless in Berthoud is the only Border Morris Side in Colorado. We would enjoy astonishing you, and would like to take this opportunity to inform you that we are always welcoming newcomers to experience this ancient and mysterious dance form. We practice on Thursday nights at the Barn Owl Dance Studio in Berthoud. For more information, contact Anne or Robin Smith at robins@mesanetworks.net or visit our website. The Mudra Dance Studio is a Colorado based dance troupe under the directions of Namita Khanna Nariani, who was born and raised in India. She trained in “Kathak”— the North Indian Classical Dance style that means “dancing a story” and is an expressive dance style that has intense foot work and numerous turns. Namita‘s expertise is also in the diverse folk dance styles from around the country. 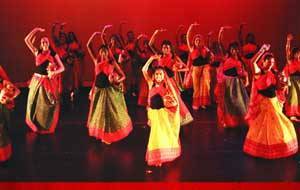 Mudra Dance Studio teaches and presents classical, contemporary and folk dances from India, that include Kathak and dances from both north and south India. 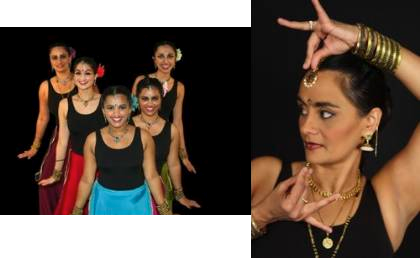 Started in 1993 by Artistic Director Namita Khanna Nariani, Mudra has performed all over the Colorado Front Range, including the Dragon Boat Festival, Parade of Lights, Boulder Creek Festival, Filipino Festival, Boulder Asian Festival, as well as their yearly dance concerts. Mudra performed in Bombay in 2005 to a sold-out house. The dance company has a diverse student body, ranging in age from 3 to 65. Namita Khanna Nariani, who is also a local Denver architect, received dance training in Bombay, India since the age of 4, and has performed and choreographed internationally. As a choreographer Namita has worked with "Up with People" and was a master teacher at the Cleo Parker Robinson Dance 8th annual Summer Institute. She is also the guest lecturer for the Department of Humanities and the Dance Department of the University of Colorado at Boulder at the undergraduate and graduate level. 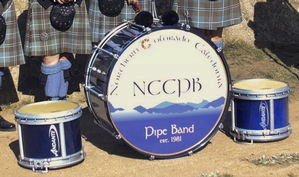 Performers for this year’s Grand March are members of the Northern Colorado Caledonia Pipe Band. They are John Wharrier, Paul Landers, Dan Rousch, and Chris Doyle. The NCCPB is a successful competition band with members from Commerce City to Greeley to Ft. Collins to Boulder and everwhere in between. 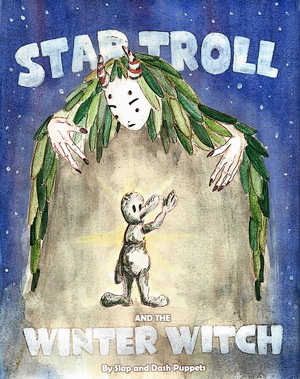 Follow a lonely troll on his quest to find the source of his awakening on a cold winters night. Slap and Dash Puppets is thrilled to premier their first original puppet show at this year’s Winter Solabration! Slap and Dash is new company focused on short format story telling using a variety of puppetry styles and homemade puppets, our aim is to entertain children and adults alike while exploring all this medium has to offer. Our crew of international puppet makers and home grown puppeteers includes: Izzy Bristow a local puppet maker who honed her chops in Cardiff Wales, Nick Willsher a Bristol based jack of all trades that specializes in new technologies and fine engineering, Emily Martin a passionate performer who enjoys participating in new things, and Gabe Bristow a fantastic brother and accomplished carpenter who is happy to be along for the ride. Mixing whimsy with bloodlust, beauty with brutality, grace with destruction, Bryan the Circus Knight is a living dichotomy of worlds bound by the common desire to perform. His quest: to shatter preconceptions of circus. As a youth, Bryan’s first experience performing was juggling on the streets of Boulder, Colorado and has since honed his street show and earned a Bachelor’s degree in Performance from Colorado State University. While in school, Bryan joined "Motion Picture Stunts and Tactical" where he became versed in high falls, acrobatics and stage combat. After graduation, Bryan performed in several circus shows, including the role of Drosselmeyer in MOTH Circus’s production of "The Nutcracker," as well as five productions with the Phantom Circus show. When he’s not training or performing circus, he also does fight choreography, stunts, and jousting with the Knights of the Tempest, and won second place in the Light Armor Joust two years running at the Longs Peak Scottish-Irish Highland Festival, the largest international jousting competition in the United States. 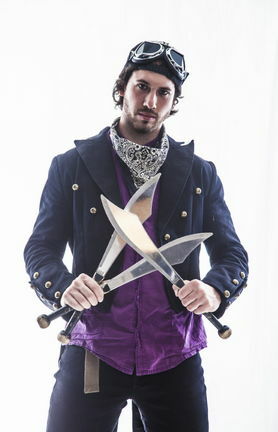 His fondest wish is to gradually merge his two worlds into one whole full-spectrum performance experience of both circus and combat. More at Bryan-Circus-Knight on Facebook. Abbie Lawrence is an award-winning artist and entertainer. Following extensive training, Abbie was invited by the Armed Forces Professional Entertainment Office to perform in Italy, Spain, England, Scotland, Germany, Turkey and the Azores. She founded Mime Time in 1982. Abbie performs at private and public events for individuals and organizations. 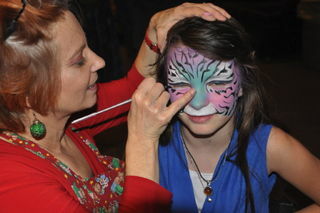 She offers shows, workshops and classes in the Denver Metro area Libraries, and Schools. She has performed at countless parties and events as a twister and face painter and has been performing at the Winter Solabration since 2011. 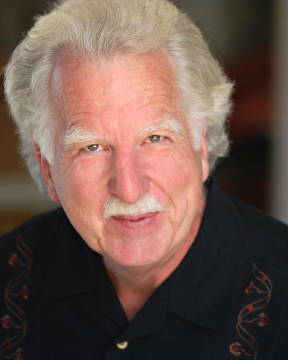 Chris Kermiet has been calling and teaching traditional American community dances for over forty years and is recognized as one of the finest callers in the United States. In 2000, he received the Heritage Award/2000 Artist Fellowship from the Colorado Council on the Arts for calling and teaching traditional American dance, as well as the Westword Best of Denver Award for Best Dance Caller. In 2009 he was honored as a "Living Legend of Dance" by the Carson-Brierly-Giffin Dance Library at the University of Denver. His video interview can be viewed here. During the last ten years, as well as being in demand as a caller and teacher of traditional dance, he has created choreographies for a number of performing groups and theater companies. Chris grew up with traditional dance. His father, Paul Kermiet, was one of Colorado's premier old time callers, and ran a summer dance camp on Lookout Mountain where Chris heard the best callers from around the country. He learned from all of them, and it shows in his teaching and calling, his broad repertoire and familiarity with traditional dance, and the way he puts new dancers at ease. 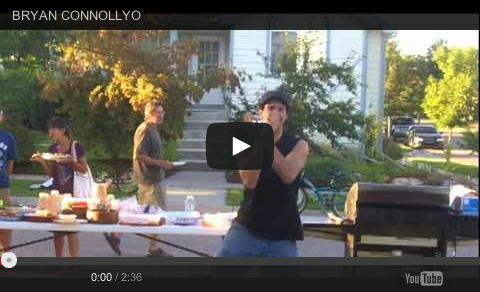 He calls at numerous events across the Front Range, and currently leads the Denver English Dance. He has also been posting his poems on-line at poemofthemonth.us for the past five years. Patricia Danscen’s contagious smile and energetic whimsical calling spread the passion of dance wherever she goes. Her clear and concise teaching and welcoming smile will engage both new and experienced dancers and keep them dancing all night long! Patricia’s repertoire includes contras, squares, circles, and traditional reels. She has called dances throughout Colorado and in several other states. In addition to calling, Patricia plays double bass and guitar, and performed with a clogging troupe for 12 years. Her passion for dance and music is evident as she hosts jams, co-organizes community dances, and leads dance workshops. "I absolutely love seeing people smile and having a great time on the dance floor!" 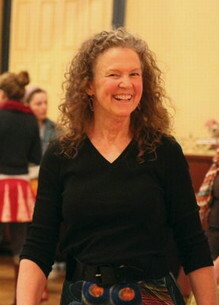 Tina Fields calls contra and other traditional American "barn" dances, with the goal of creating maximum joy. She is known for her effervescent sparkle, great sense of timing, clear projection, singing style, patience with new dancers, collaborative way of working with bands, and comfortable humor. Tina brings day job skills as a college professor to her dance teaching. 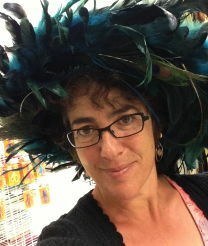 She is also a singer, myth-loving storyteller, and ceremonial facilitator. She has been on staff for various dance camps as both contra caller and songleader. More at Tina’s website. Balance & Swing, comprised of Susan and John Reading and Tina Gugeler, have been providing high energy music for dances along the Front Range since 1993. Balance & Swing has also performed at a variety of festivals and dance camps and each individual can be found lurking in other constellations of bands throughout the region. In addition to playing for dances, they have also performed at various festivals and summer events in Colorado including the Cherry Creek Arts Festival, the Peoples Fair, the Renaissance Faire, Westminster Artist Series, the Wells Fargo Culture Fest, and others. 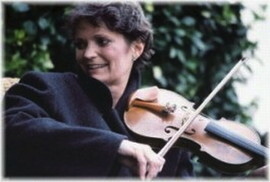 Susan learned to play fiddle in New England in the early 70's. She had contact with some of the finest fiddlers in that region and has played consistently with contra dance bands and traditional musicians since then. 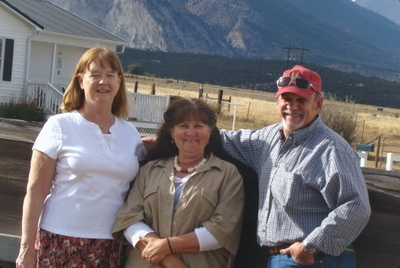 She relocated to Colorado in 1991 with John and became involved in the traditional music community. Sue has a large repertoire and enjoys playing anywhere, anytime. Tina, originally from Louisiana, made her way to the Denver area after taking the long way around through Ketchikan, Alaska. Tina started her hammered dulcimer career in Ketchikan in 1986 playing for local contra dances. In 1992 Tina won the Colorado State hammered dulcimer championship and in 2000 went on to win the National Hammered Dulcimer Championship in Winfield, KS. 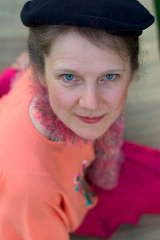 In addition to her work with Balance & Swing, she does solo performances and teaches. John has the best of all worlds. He gets to play with great musicians, takes his wife with him almost always, and basks in the glow of the dancers as they move to the strong piano bass lines and rhythmic chords he so enjoys. If you listen carefully, you'll hear the influence of his former life as a jazz musician in the Boston area. John is equally at home in many different venues and can play gigs from English Country dances to jazz standards, big band swing to vocal accompaniment.